Finland's Independence Day (Finnish : itsenäisyyspäivä, Swedish : självständighetsdagen) is a national public holiday, and a flag day, held on 6 December to celebrate Finland's declaration of independence from Russia in 1917. The movement for Finland's independence started after the revolutions in Russia, caused by disturbances inside Russia from hardships connected to the First World War. This gave Finland an opportunity to withdraw from Russian rule. After several disagreements between the non-socialists and the social-democrats over who should have power in Finland, on 4 December 1917, the Senate of Finland, led by Pehr Evind Svinhufvud, finally made a Declaration of Independence which was adopted by the Finnish parliament two days later. 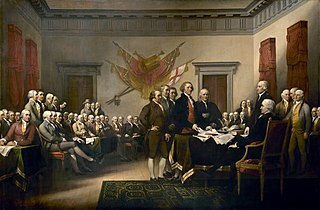 Independence is a condition of a person, nation, country, or state in which its residents and population, or some portion thereof, exercise self-government, and usually sovereignty, over the territory. The opposite of independence is the status of a dependent territory. The Senate of Finland combined the functions of cabinet and supreme court in the Grand Duchy of Finland from 1816 to 1917 and in the independent Republic of Finland from 1917 to 1918. The Whites, or White Finland, was the name used to refer to the refugee government and forces under Pehr Evind Svinhufvud's first senate who opposed the "Reds", or the Finnish Socialist Workers' Republic, during the Finnish civil war (1918). The forces were initially formed and supported by the paramilitary White Guard, Jäger troops, and other recruitees and draftees, as well as the political right. Separatist-minded from Russia, the Jägers had left to Germany between 1914 and 1917 for military training and returned at eve of the civil war, many already as First World War veterans. They also received military support from the German Empire. The Finnish Civil War was a conflict for the leadership and control of Finland during the country's transition from a Grand Duchy of the Russian Empire to an independent state. 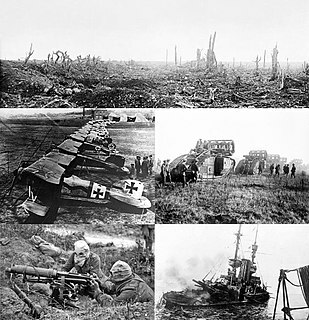 The clashes took place in the context of the national, political, and social turmoil caused by World War I in Europe. The civil war was fought between the Reds, led by a section of the Social Democratic Party, and the Whites, conducted by the conservative-based Senate and the German Imperial Army. The paramilitary Red Guards, composed of industrial and agrarian workers, controlled the cities and industrial centres of southern Finland. The paramilitary White Guards, composed of farmers, along with middle-class and upper-class social strata, controlled rural central and northern Finland. The flag of Finland, also called siniristilippu, dates from the beginning of the 20th century. 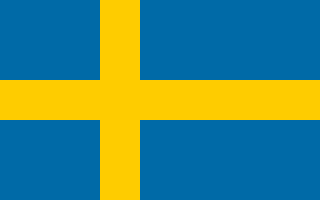 On a white background, it features a blue Nordic cross, which represents Christianity. Johan Ludvig Runeberg was a Finnish lyric and epic poet. He is the national poet of Finland and the author of the lyrics to Vårt land that became the Finnish National Anthem. Runeberg was also involved in the modernization of the Finnish Lutheran hymnal and produced many texts for the new edition. Helsinki is the capital and most populous city of Finland. Located on the shore of the Gulf of Finland, it is the seat of the region of Uusimaa in southern Finland, and has a population of 650,058. The city's urban area has a population of 1,268,296, making it by far the most populous urban area in Finland as well as the country's most important center for politics, education, finance, culture, and research. Helsinki is located 80 kilometres (50 mi) north of Tallinn, Estonia, 400 km (250 mi) east of Stockholm, Sweden, and 390 km (240 mi) west of Saint Petersburg, Russia. It has close historical ties with these three cities. Helsinki Cathedral is the Finnish Evangelical Lutheran cathedral of the Diocese of Helsinki, located in the neighborhood of Kruununhaka in the centre of Helsinki, Finland. The church was originally built from 1830-1852 as a tribute to the Grand Duke of Finland, Tsar Nicholas I of Russia. It was also known as St Nicholas' Church until the independence of Finland in 1917. It is a major landmark of the city. Finland participated in the Second World War, twice battling the Soviet Union, and then against Nazi Germany. As relations with the Soviet Union changed during the war, Finland was placed in the unusual situation of being for, then against, then for, the overall interests of the Allied powers. The traditional torch cavalcade by students has been held annually since 1951. The cavalcade is held in various towns and cities with a university and wreaths are placed on war graves. 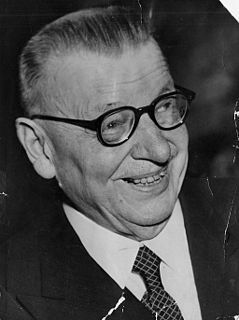 Kyösti Kallio was the fourth President of Finland (1937–1940). He was a prominent leader of the Agrarian League, and served as Prime Minister four times and Speaker of the Parliament six times. Baron Carl Gustaf Emil Mannerheim was a Finnish military leader and statesman. Mannerheim served as the military leader of the Whites in the Finnish Civil War, Regent of Finland (1918–1919), commander-in-chief of Finland's defence forces during World War II, Marshal of Finland, and the sixth president of Finland (1944–1946). Kaarlo Juho Ståhlberg was a Finnish jurist and academic, who played a central role in the drafting of the Constitution of Finland in 1919. He was the first President of Finland (1919–1925) and a liberal nationalist. The President of the Republic of Finland is the head of state of Finland. Under the Constitution of Finland, executive power is vested in the President and the Finnish Government, with the former possessing only residual powers. The President is directly elected by universal suffrage for a term of six years. Since 1991, no President may be elected for more than two consecutive terms. The President must be a Finnish citizen by birth. The Presidential office was established in the Constitution Act of 1919. Since March 1, 2012, the President of Finland has been Sauli Niinistö. In May 2017, Niinistö announced that he would seek re-election in the 2018 presidential election, running as an independent candidate. NCP and the Christian Democrat Party supported his candidacy. He won re-election in the first round on 28 January 2018 with 62.7% of the vote and his second term began on 1 February 2018. The Mannerheim Cross of Liberty is the most esteemed Finnish military decoration. The medal, inspired by the Old-Scandinavian Fylfot, was introduced after the Winter War and named after Field Marshal Gustaf Mannerheim. The decoration was awarded to soldiers for exceptional bravery, for the achievement of crucially important objectives by combat, or for especially successfully conducted operations. The Mannerheim Line was a defensive fortification line on the Karelian Isthmus built by Finland against the Soviet Union. During the Winter War it became known as the Mannerheim Line, after Field Marshal Baron Carl Gustaf Emil Mannerheim. The line was constructed in two phases: 1920–1924 and 1932–1939. By November 1939, when the Winter War began, the line was by no means complete. The Finnish Declaration of Independence was adopted by the Parliament of Finland on 6 December 1917. It declared Finland an independent nation, among nations ending its autonomy within Russia as its Grand Duchy of Finland, with reference to a simultaneously delivered bill to the Diet to make Finland an independent republic instead. The Presidential Palace is one of the three official residences of the President of the Republic of Finland. It is situated in Helsinki, on the north side of Esplanadi, overlooking Market Square. 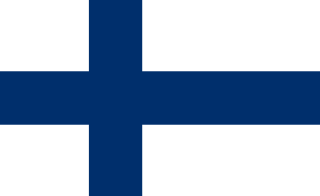 Finland declared its independence on 6 December 1917. The formal declaration of Independence was only part of the long process leading to the independence of Finland. The Kingdom of Finland was an abortive attempt to establish a monarchy in Finland following Finland's independence from Russia. Koubbeh Palace, is one of the various Egyptian palaces which currently serve as the country's official guest house for visiting dignitaries. The Viipuri Province was a province of Finland from 1812 to 1945. Indirect presidential elections were held for the first time in Finland in 1919. Although the country had declared Prince Frederick Charles of Hesse King on 9 October 1918, he renounced the throne on 14 December. The President was elected by Parliament, with Kaarlo Juho Ståhlberg of the National Progressive Party receiving 71.5% of the 200 votes. Ståhlberg, a moderate, liberal and reformist politician, who favoured improving the material well-being of workers and other economically poor Finns, received the votes of Social Democrats, Agrarians and Progressives. He also firmly supported the new Finnish Republic, and a parliamentary form of government with a strong President as a mediator and a political reserve for politically troubled times. 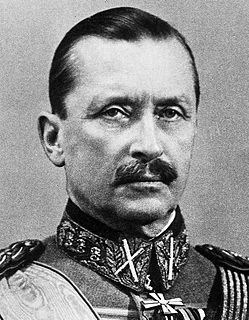 Mannerheim, an independent right-winger and monarchist, suspected the democratic, republican and parliamentary form of government of producing too partisan political leaders, and of working ineffectively during crises. Ståhlberg favoured the signing of peace treaty between Finland and the Soviet Russia, while Mannerheim in the summer of 1919 strongly considered ordering the Finnish army to invade St. Petersburg to help the Russian Whites in that country's civil war. Only the National Coalitioners and Swedish People's Party voted for Mannerheim in this presidential election. Indirect presidential elections were held in Finland in 1946. In 1944 the Parliament had passed a law that enabled Carl Gustaf Emil Mannerheim to serve a six-year term. However, he resigned on 4 March 1946, giving as his reason his declining health and his view that the tasks he had been selected to carry out had been accomplished. An election was held in Parliament to appoint his successor. Juho Kusti Paasikivi was elected with 159 of the 200 votes. Mannerheim had suffered from poor health since 1945, and he had vacationed abroad from November 1945 to January 1946. He had been concerned about the possibility of being indicted for abusing his office as the Commander-in-Chief of the Finnish army when approving of Finland's participation in the Continuation War (1941–1944) against the Soviet Union, and in an informal military alliance with Germany. He was not indicted, but eight leading wartime Finnish politicians were, and Mannerheim stayed abroad, mainly in Portugal, and on sick leave in the Red Cross's hospital in Helsinki from November 1945 to March 1946, to remain on the political background during the "war guilt" trial. Paasikivi was regarded by many Finnish politicians as the only realistic successor of Mannerheim, given his long diplomatic and foreign policy experience. Because many Karelian refugees would not yet have been able to vote in regular Finnish presidential elections until the autumn of 1946, due to their frequent changes of home town, the Finnish Parliament decided to pass an exceptional law to elect the new President. Former President K.J. Ståhlberg was not an official presidential candidate, but he received 14 sympathy votes in these presidential elections, because a few Finnish parliamentarians respected his preference for regular presidential elections. This is an timeline of the Independence of Finland. Timeline starts from February Revolution and ends with membership of the League of Nations. Events take place in Saint Petersburg and Finland. The Independence Day Reception is an annual event organised by the President of Finland at the Presidential Palace in Helsinki on 6 December, Finland's Independence Day. Invitations are sent out for members of parliament, communal and business representatives, and other people who distinguished themselves in the year related to arts, sports, science etc. ↑ Kolbe, Laura (2011). "Linnan juhlia vuodesta 1919". Tiede (in Finnish). Retrieved 29 April 2016. 1 2 3 Snyder, Russell (2011). "Finns celebrate freedom every December". Finland. Retrieved 29 April 2016. ↑ "Gunwriters". P. T. Kekkonen. Retrieved 12 May 2006. ↑ "Ylioppilaiden soihtukulkue jatkoi itsenäisyyden juhlintaa". Hämeen sanomat. 6 December 2013. Retrieved 7 December 2017. ↑ "History of the Independence Day reception at the Presidential Palace". The Office of the President of the Republic of Finland. Retrieved 7 June 2008. ↑ "Finnish Independence Day". Yle. 2012. Retrieved 29 April 2016. ↑ Rautiainen, Riitta (2004). "The President's Independence Day Reception". University of Tampere. Archived from the original on 2 February 2014. Retrieved 29 April 2016. ↑ "List of Finland Collectors' Coins". Mint of Finland. Archived from the original on 16 June 2010. Retrieved 27 June 2010.